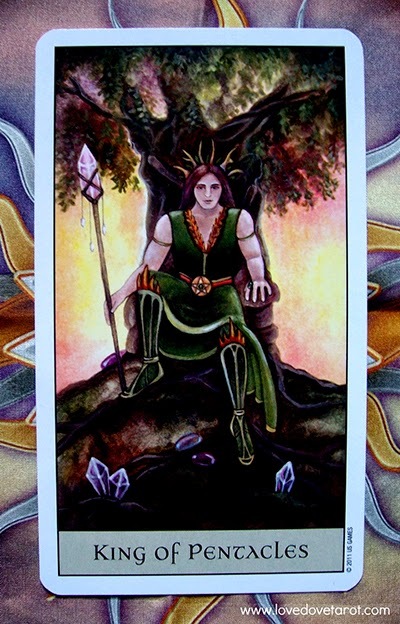 The King of Pentacles card suggests that my power today lies in responsibility. I surround myself with the conditions I wish to create and therefore have everything I need to be successful and independent according to my values and purpose. I consider the welfare of others and am a master in production. I am empowered by, and it is my honor to be, generous in offering or reproducing security, stability, and protection by my virile and reliable example. My assets are perennial trust, respect, and validation that is well deserved.